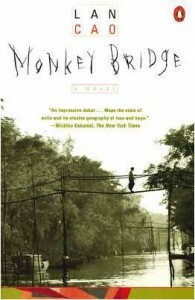 Monkey Bridge by Lan Cao is an autobiographical novel that I enjoyed teaching to high school students because it introduced them to life in Vietnam before, during, and after the Vietnamese War when a twelve year old girl immigrates to the United States in 1975. I found, however, that students whose prior knowledge is rather slim regarding Vietnam and Asian culture and pop culture of the 1970 needed lots of background information to avoid confusion. So,I designed this slide presentation as a kick-off to reading this engaging literary work by one of the first Vietnamese immigrants to write a novel in English. Consider this In-class assignment to practice on-demand writing. As a veteran educator, it’s a privilege to be able to share insights with those interested in the profession. I simply want to mention I am just all new to weblog and seriously savored you’re web blog. Likely I’m planning to bookmark your website . You absolutely come with remarkable posts. Thanks a lot for sharing your webpage.